Place peach juice and apple juice in water reservoir of coffee maker. Arrange orange slices loosely in paper filter in filter basket. Sprinkle remaining ingredients over oranges. Candied ginger is fresh gingeroot that has been boiled in a sugar syrup and coated with sugar crystals. 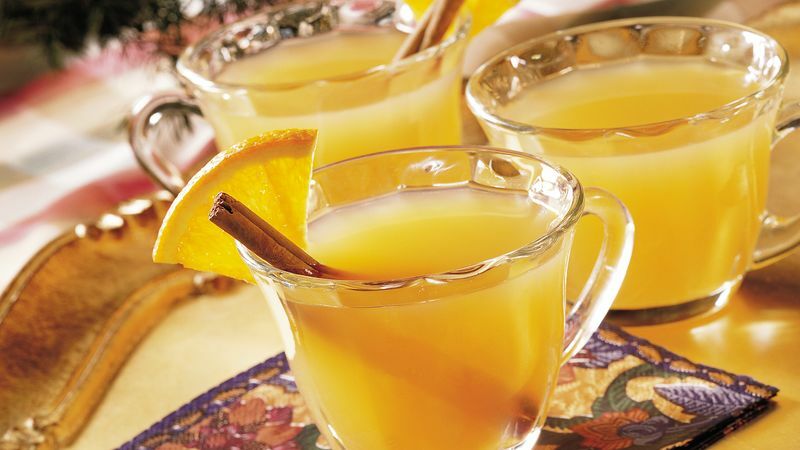 Besides starring in this warm and toasty cider, candied ginger makes a great after-dinner breath freshener. Preparing hot beverages is easy if you have a coffeemaker. Run a few cycles of fresh water through the coffeemaker to clean it before using.